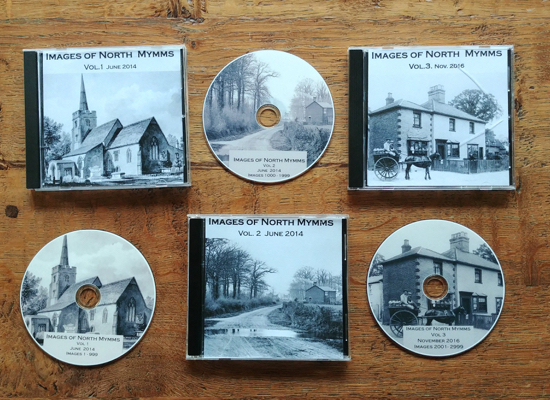 In this feature, the late Bill Killick, a prominent member of the former North Mymms Local History Society, explained why there have been so many different spellings of Mymms over the years. Bill's research took him back to the Domesday Book of 1086, when the manor that is now the parish of North Mymms, was known as Mimmine. 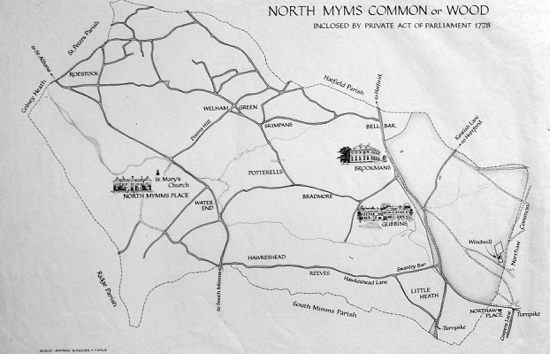 Recently I was asked why North Mymms was spelt with a ‘y’ and South Mimms with an ‘i’. I said that I did not know, but I know that there was no ‘historical’ reason for this as from the earliest times it had been spelt in many ways, sometimes with ‘y’ and at other times with ‘i’. From my experience of reading very many old documents, I have formed the opinion that until the 19th century, scribes treated the letters ‘i’ and ‘y’ indifferently, spelling the same word, sometimes with ‘y’ and at other times with ‘i’; even on occasions in the same document. For example; in the Probate Register copy of the will of John Coningesbye, dated 1543, we find the word ‘sisters’ spelt with ‘i’, and three lines down it is spelt with ‘y’, ‘systers’. 1086 Domesday Book (Latin text) - Mimmine (although ‘North’ is not given, it must be, because it is recorded in the Hundred of Dacorum). 1427 Manor Court Roll (Latin text) - Northmymes. 1429 Manor Court Roll (Latin text) - Northmymmes. 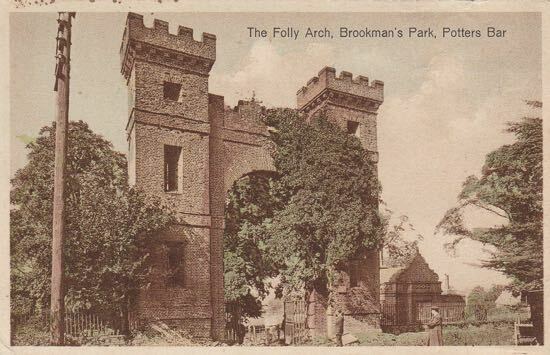 1437 Bill of Complaint to Court of Chancery – Concerning the Manor of the late John Brokeman,. ‘called Mimmshalle – in Northmymys’. 1526 Probate Register copy of the will of Sir John More knight – Northmyms. 1553 Manor Court Roll (Latin text) – North Myms. 1695 Oliver – North Mims. 1749 Warburton – N. Mims. 1766 Dury & Andrews – North Mims. 1808 Original Ordnance Survey – North Mims. As ‘North Mymms’ has been the standard spelling accepted for some time, I assumed that this had been adopted arbitrarily, but by whom? Then by chance I found that it had been made official by the Hertfordshire County Council on February 20th 1939. "That the consent of the County Council be, and the same is hereby, given to the Parish Council of North Mymms changing the name of the Parish from ‘North Mimms’ to ‘North Mymms’, viz., that ‘Mimms’ should be spelt with a ‘y’ and not an ‘i." From this it seems the Parish Council had requested the change, but I have not examined the Parish Council minutes. This official change refers to the name of the Parish only and does not change other place names, which contain ‘Mimms’.